As some of you may know, in addition to writing I offer freelance marketing and editing services. (Want to check out my rates? Look here.) Today, let’s talk about one of the most common marketing questions I get: what kind of swag should I order? For those new to the publicity-sphere, swag is a catchall phrase for promo material intended to increase your brand awareness, such as bookmarks bearing an author’s latest release, t-shirts with logos emblazoned across them, even those tire pressure gauges from your auto insurance company. You know, the fun little doodads given away at trade shows and conferences. Admit it, you know you love ’em. Since most of my client’s are writers, I usually deal with book related swag: bookmarks, postcards, posters, etc. While there’s nothing intrinsically wrong with offering any of these, bear in mind that EVERY OTHER AUTHOR has bookmarks, postcards, etc. If you want your swag, and therefore your book, to stand out, you need to get a bit creative. True story: I once came home from a large science fiction/fantasy conference with an entire tote bag of bookmarks… and they all ended up in the trash. Really, after the tenth bookmark they all look alike. With a little imagination, it’s not so hard (or expensive) to stand out from the crowd. There are a few rules to swag: it must make you think of the brand/item it’s promoting (easy enough by adding a logo or website info); it must somehow relate to your brand/item (re: don’t order custom ice cube trays for a YA romance…unless it features Ice People or takes place in Antarctica); and it needs to cheap enough that you can give it away with abandon. Too much criteria? Trust me, it’s not, and to prove it let’s have a look at what arrived in my mailbox a few days ago. Why yes, it’s a tiny bottle of olive oil. Isn’t it cute? 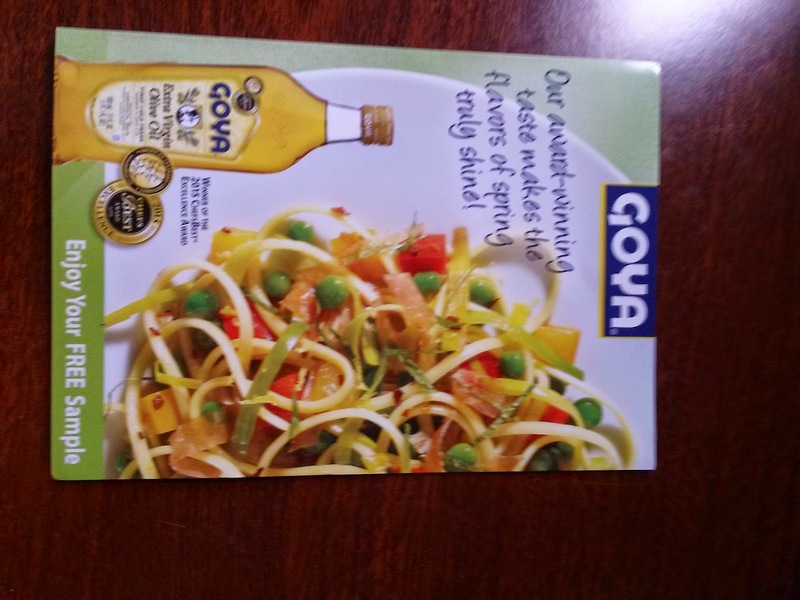 I am in no way affiliated with Goya, but c’mon, this little guy is adorable! And, it came with a recipe book (in case I didn’t know what to do with olive oil)! And a coupon! In addition to the recipes (and sweet $1.50 coupon!) 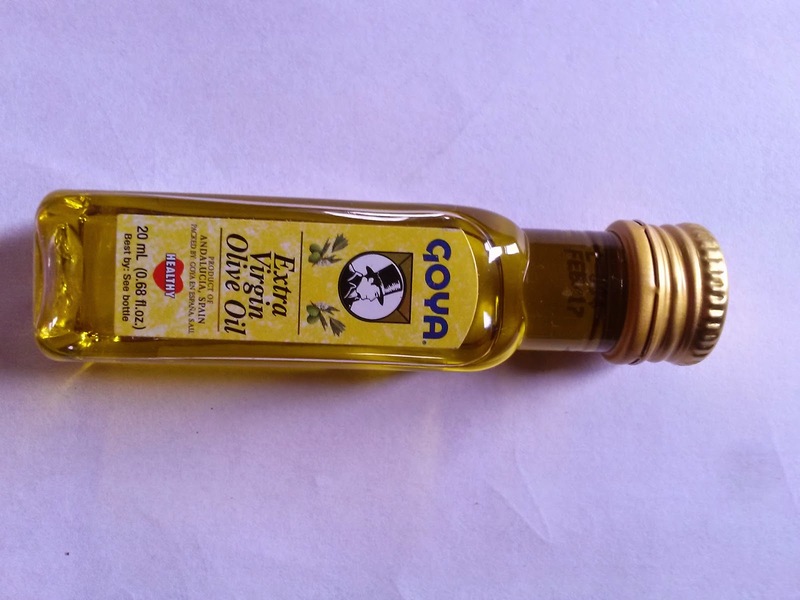 it advertised the other olive oils offered by Goya. That’s called conversion marketing, peeps. 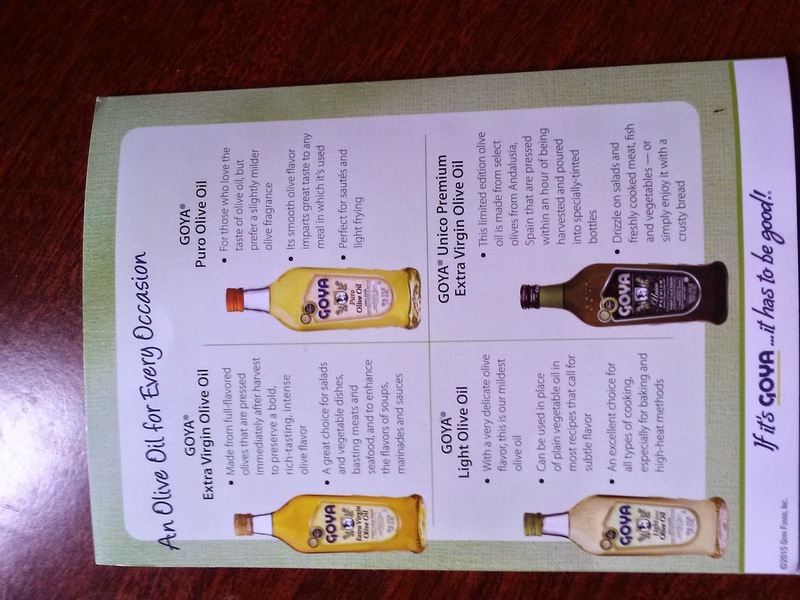 So, does this mean you should purchase teensy tiny bottles of olive oil with your logo emblazoned across the label? Not necessarily. But what Goya did with this presentation was something MEMORABLE. You want people to hang on to your swag, and remember your name. And, you know, buy your product. If the swag leads them to other products you have for sale, all the better. 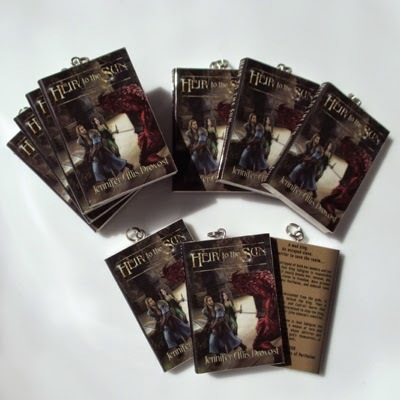 I bet you’re wondering if I put my money where my mouth is with swag for my upcoming release, Heir to the Sun. Worry not, I sure did. In addition to the standard bookmarks and postcards, I got magnets (everyone needs to decorate their fridge), mini books, and little spell bottles (which I ordered waaay before I got the Goya bottle. Really.). I’d like to do more swag, and I’m pricing out lip balm and travel sunscreens on key chains as we speak. I know, you’re stoked. Moral of the story: get something durable, something people will use for a few weeks or even months, long enough for them to remember your product. Don’t forget to slap on a website or QR code, so they can buy that product. Other than that, let your imagination be your guide. Have you ever ordered unique swag? Let me know in the comments below. She is the Asherah, and she will save us all! That’s right, the new, updated edition of Heir to the Sun is almost here! It’s been one heck of a ride, but I think you’ll love the new version, especially with that awesome cover. Who knew Caol’nir was such a hottie? 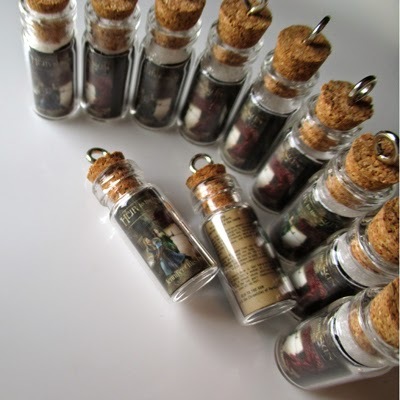 And, mini books in a bottle! Yeah, I have a swag addiction. While the prior edition already has some reviews, we’re also looking for some new reviewers. If you’re interested, either comment below or on the Chronicles of Parthalan Facebook page. Be sure to specify what version you’d like your ecopy in (mobi, .pdf, etc). 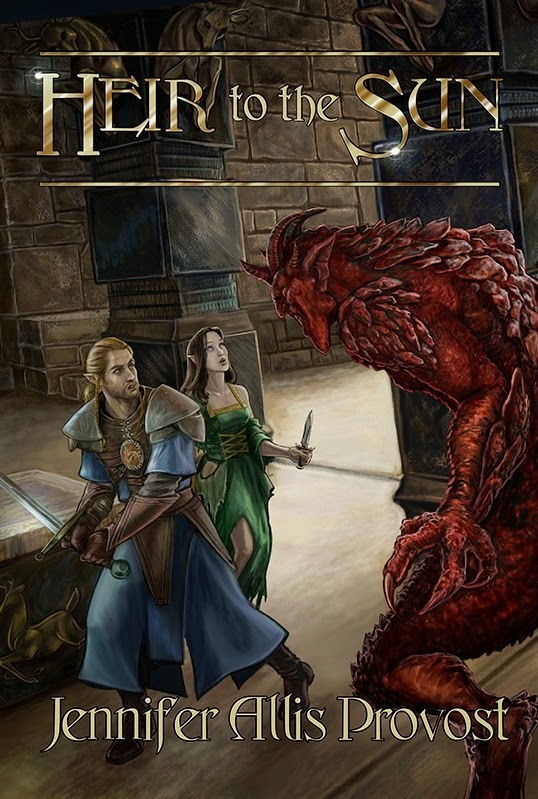 It will be up on NetGalley in the near future as well, so that’s another option. Finally, be sure to sign up for my newsletter so you can stay up to date on events, new releases, and contests. 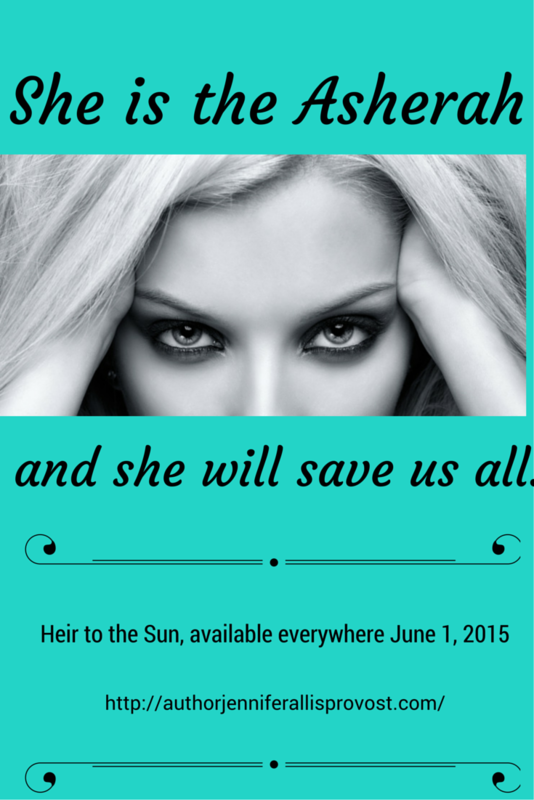 The sequel to Heir to the Sun, The Virgin Queen, is scheduled for an October release from Bellatrix Press. June first can’t come fast enough!